If you’re looking to buy a used vehicle, you don’t want to compromise on quality. The best way to ensure you’re getting the quality and safety you not only want but expect in your used vehicle is to look exclusively at Certified Used Vehicles. 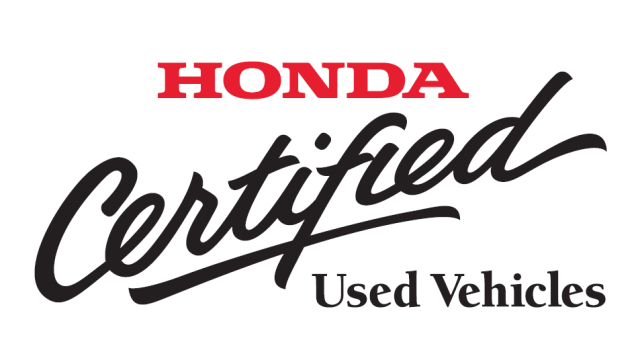 Honda goes one step further and offers you the Honda Certified Used Vehicles Program. But what’s the difference? Certified Used Vehicle programs offer you an advantage over purchasing non-certified used vehicles. Manufacturers set out model or mileage restrictions on their vehicles and to qualify for certification, vehicles must meet those restrictions and requirements. Used vehicles must pass a comprehensive inspection (moth for mechanics and appearance) to the manufacturer’s standards and no engine or body modifications are allowed. Buying a certified vehicle gives you peace of mind that you are getting reliability at used car prices. A Honda Certified Used Vehicle represents the same reliability, performance, safety and value you get with any Honda vehicle. Just because you are purchasing used doesn’t mean you or your car matter any less to us, and we work hard to provide you with the same Honda experience from beginning to end. If it doesn’t meet our standards, it has to go and gets replaced with a Genuine Honda Part or restored to like-new condition. It’s important to us that you are completely satisfied with your Honda Certified Used Vehicle, and we aren’t happy until you are. Now that you know what Honda Certified Vehicles are all about, check out our special offers (delivered straight to your inbox!) and find out how you can join the Honda Family!